There is nothing I like better than looking through the portfolios of interior designers and finding something new to appreciate. 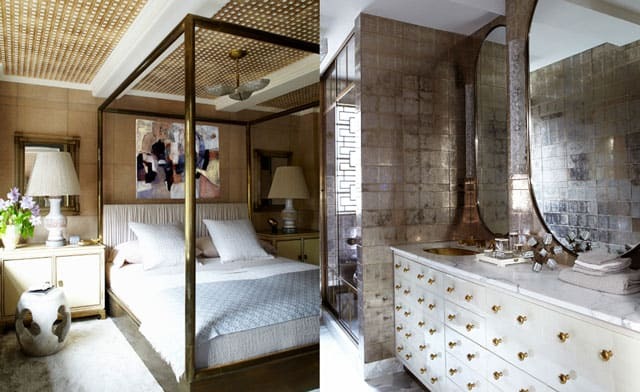 Interior designer Kelly Wearstler shows us in this delightful Manhattan apartment how to make a smaller space look opulent with a neutral color palette and a clever use of metallics. Lush neutrals and rich metallic detailing create an effortless yet spirited vibe. 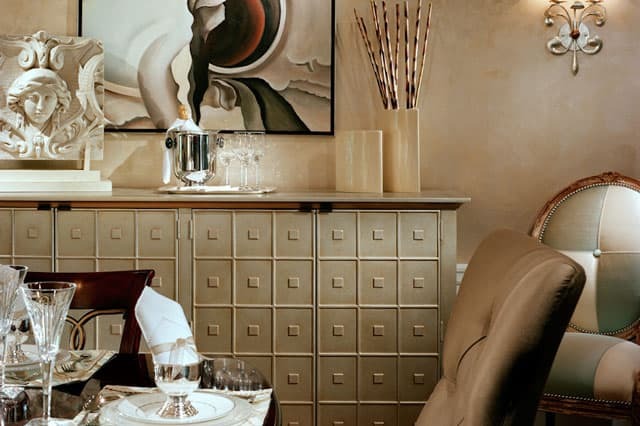 An artful blend of soulful vintage and contemporary pieces compose this confident and sublime retreat in the heart of the city. The lavish furnishings in this apartment, give the feeling of being luxurious but also really comfortable! You can imagine what it would be like to just relax and sink into that big sofa with all of those lovely pillows! 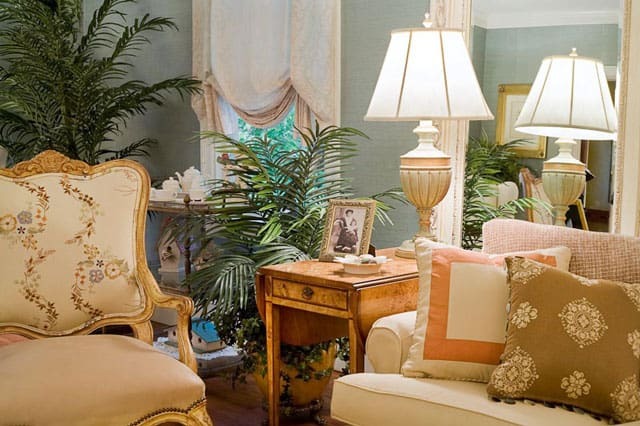 Another design firm I admire is Lenore Frances Interiors.- located outside of Philly in Mt. Laurel. With a clever use of carefully selected home decor accessories, the rooms I have selected below, show chic, stylish interiors also with a sense of ‘being lived in’. Many of the more contemporary homes I see look amazing yet are often too minimal to have that lived-in look. Something that I like to see when I look through magazines or blogs are the homes that have belongings around, almost like you are having a behind the scenes tour of a lived-in home. Figure out how the function of the room would have the greatest positive impact on your daily living. Second, what items do you need and where should they go for the best flow of space. Third, figure out the style that gets you excited and happy. In Lenore's work there is a true sense of luxury while also being functional. I absolutely love the addition of the tropical plants too! 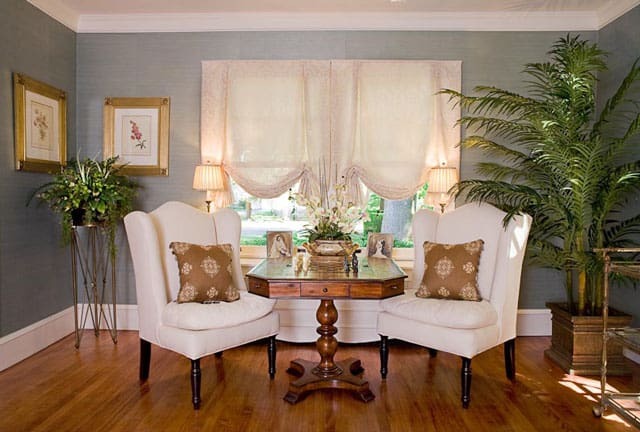 Something that I would love to do in my own home is add more foliage...it just makes the room come alive! 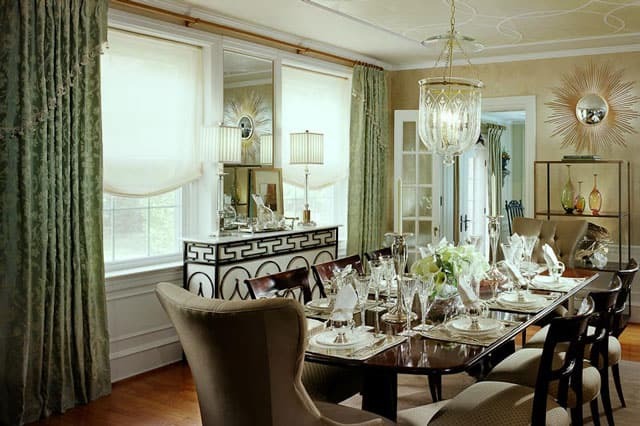 In interior designer Kelli Ellis’ portfolio, there are many colors, textures and textiles to be found that have a unique edge. 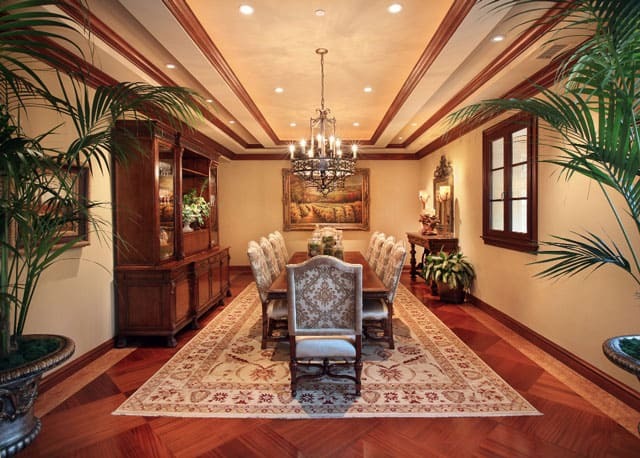 The images that appealed to me below are from a large house with transitional style. Because of the way the rooms are arranged there is a spacious vibe, with tropical plants and plenty of natural light. The dark wood floors, coordinate so well with the choice of furniture and the fabrics. 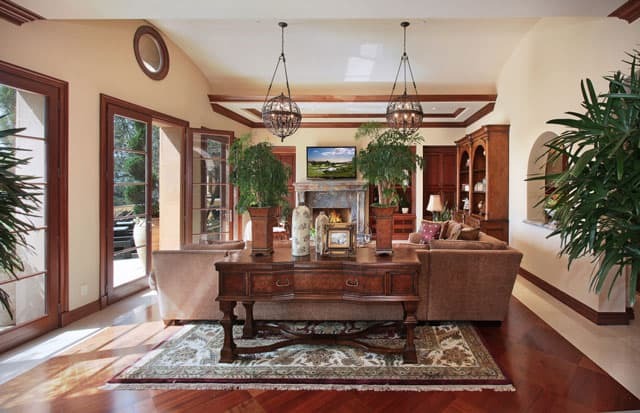 Kelli Ellis has successfully made this home into a place that combines elegance, comfort and charm. Transitional style is really all about uniting both modern and traditional elements for a look that feels classic but still up-to-date. 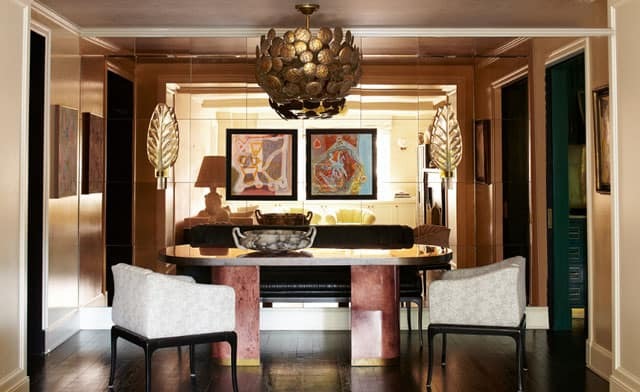 I find that transitional style can also be a good way to balance the feminine and masculine energy in a space and make everyone who lives there feel like they’re incorporated into the design. 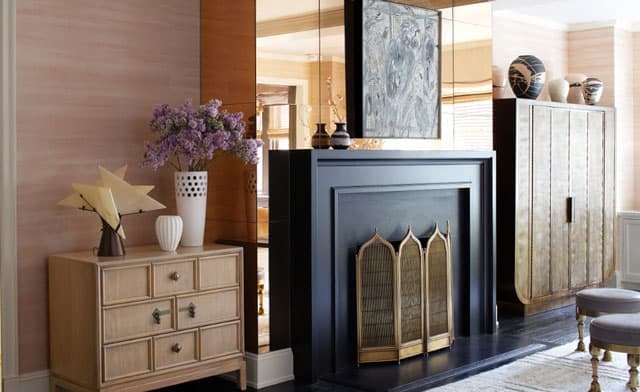 The transitional style works so well in this home, making the classic pieces of furniture with their traditional style curves blend with clean contemporary lines. I would love to own a home with this much space! 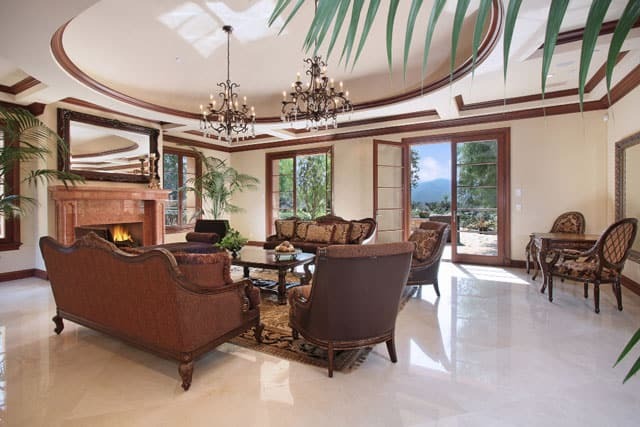 The natural light is amazing and the view from the living room double doors is breathtaking. 1. You can take a good look around at your local flea markets and garage sales to find some one of a kind, pieces of furniture that can be repurposed. You never know what treasures you might find at places like this, as people sell their older items to make way for the new. Designer Amanda Carol Ick shares some great repurposing hacks Restoration Hardware style. 2. If your carpet is looking worn, think about replacing it with (quality) laminate flooring which is much more durable and can brighten up a room. You can buy laminate flooring that looks like expensive floor coverings like tile or real hardwood. 3. If you have any pictures on the wall that are not framed, it is worth parting with a few dollars to have them framed by a professional. They can really make any room look amazing, especially when you choose the right pictures. Think about choosing postcards from your travels, illustrations, old photographs or your favorite artwork. 4. 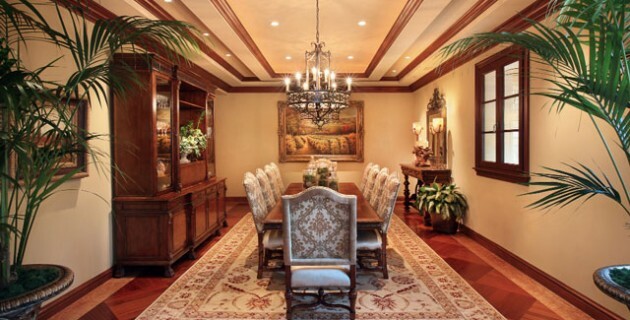 Try to reduce clutter where possible and limit the amount of decorative items that you have in a room. Choose the right decorative items and pack away any clutter, as this will make your home look larger and more sophisticated. If you have too much clutter, your home will look crowded and small. 5. Find a stylish lamp to light up your room, you room can really come alive with the right lighting and you can find something lovely without spending a lot of money. If you are trying to save money, you could repurpose an old lamp by painting the base or adding a new lamp shade. Again, Amanda offers great DIY ideas. ⇐ Home Libraries: For Those With & Without Books!